The word Philosophy comes from the greek word "Philo" which means "Love" and "Sophia" which means wisdom. In short, Philosophy means love of wisdom or knowledge. The person who searches for the meaning, importance, significance, value, and relevance of life is called Philosopher. The object of the search is of real value to the subject. It consumes the whole person his attention, concentration, interest, and effort. If the answer is not found, a conviction is reached that is the best possible although imperfect answer. Logic - It is the science or art of correct thinking. Ethics - It is about the morality of human acts. Epistemology - It is the theory of knowledge to attain the truth. Metaphysics - It is the study of human reality system of human thoughts. It seeks to explain the fundamental concepts of man. Cosmology - It is the study of inanimate things especially the universe. Aesthetics - It is the study of beautiful things. Rational or Philosophical Psychology - It is about the life principle of living things and man. Theodisy - It is the study of God. Social Philosophy - It is about man in relation to family, state, and church. Philosophy of Man - Human dimension, dignity, truth, freedom, justice, love, and death. What is Philosophy? 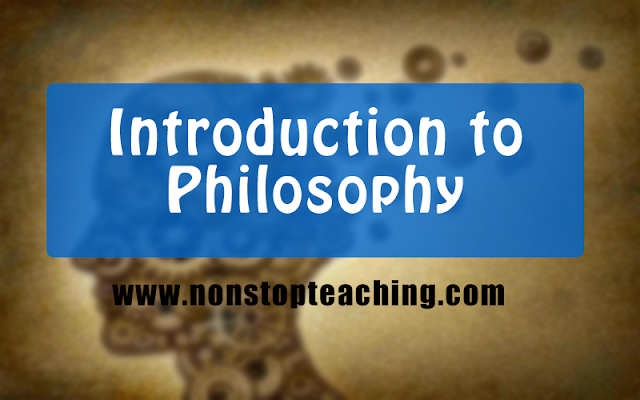 The word Philosophy comes from the greek word "Philo" which means "Love" and "Sophia" which means wisdom. In short, Philosophy means love of wisdom or knowledge. The person who searches for the meaning, importance, significance, value, and relevance of life is called Philosopher.